2014 saw an explosion in condo sales as investors from overseas flocked to the Cayman Islands. 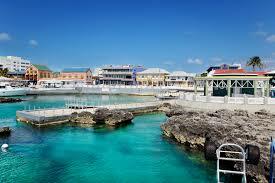 Grand Cayman also saw a surge of new developments along Seven Mile Beach, making an already vibrant area even livelier. The Islands are experiencing record growth in more ways than one, and there are still opportunities to gain value from Cayman luxury property. Because of the demand, the value of condos has soared while the size of condos has stayed within the same basic constraints. New construction of single family homes has resulted in new and attractive models at the $3-5 million price range, making home ownership a lot more attractive to a wider range of people at different income levels. Unlike condos in Cayman Islands, homes are built with efficient means that translate to real savings for the owner. New homes incorporate solar installations, drought-tolerant landscaping and are easier to maintain. Condos don’t have as many maintenance requirements either, but the owners rarely see the value of those improvements in the same fashion as home owners. From Cayman Islands commercial property to condos and homes, all will hold rental value. Only a residence can hold sentimental value. A single-family home lets you build your dream from the ground up, customizing every aspect of the home to your liking. The Cayman Islands also makes it easy to pass property onto children and loved ones with conveyance laws, even if the property has a mortgage attached. That kind of long-term value isn’t available elsewhere in the Caribbean, where owning property requires documentation of finances and other invasive identification checks.